Improving your running speed can help you to compete at your best in nearly every sport. 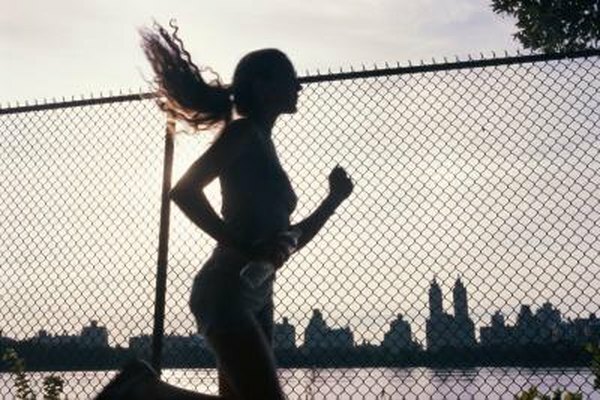 Running faster can also help your coordination and your overall fitness. In order to gain more speed, you can do drills that will help you improve your explosiveness. It's not necessary to go to the track or go to the gym in order to get faster. You can do exercises in your own home. Do calf raises on the edge of a step. The calf is the most explosive muscle you have when it comes to running and calf raises will help you build this muscle. Stand on the edge of the step with your heels hanging off. Raise up on your toes and hold the lift for two seconds. Lower your heels below the level of the step and push back up to your toes. Do 30 lifts, take a one-minute break and then repeat the drill. Do stair sets in your home. If you have a set of stairs with at least eight steps, you can build all of the muscles in your legs by running the stairs. Run up the stairs and then walk down. On a set of stairs with eight steps, do 10 laps before taking a one-minute break. Then repeat the exercise. Perform exercises to strengthen your core. According to Running Planet, a strong core can increase your endurance and power when you run. Try advanced planks to improve your core strength. Start on your hands and toes as if you were getting ready to do a pushup. Hold this position for 30 seconds. After 30 seconds, challenge yourself further by lifting your right arm straight out in front of you. Hold for 30 seconds. Lower your right arm and lift your left arm for 30 seconds. Repeat this process by lifting each foot one at a time for 30 seconds. Finish the series by first lifting your right arm and left leg for 30 seconds and then lifting your left arm and right leg for 30 seconds. You may not be strong enough to do the entire sequence at first. If this is the case, rest between each step. Gradually add on a step each time you work out until you can do the entire sequence at once. Add one leg squats to your routine to develop power in your legs. To do one leg squats, stand in a split stance as if you were about to do a lunge. Place your rear foot up on a heavy chair behind you. Bend your front leg and lower until the knee is at a 90-degree angle. Return to standing and repeat 10 times before switching sides. Complete two to three sets on each leg.